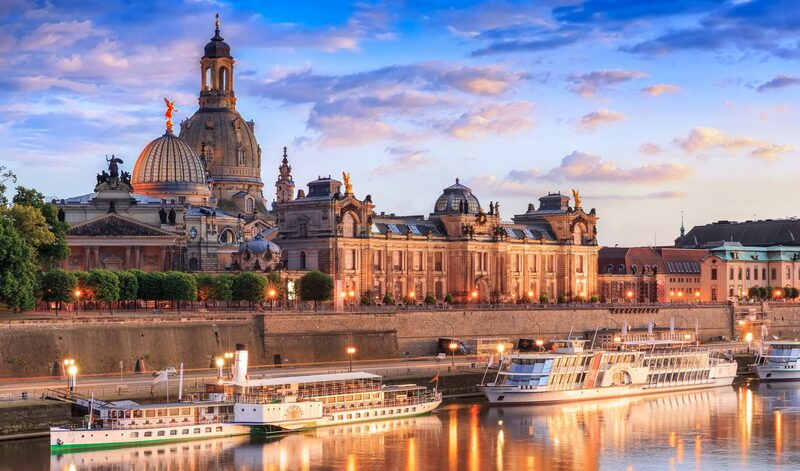 Dresden is a first-class convention and conference destination, with top-class hotels, magnificent palaces, historical industrial buildings, elegant ballrooms, and world-famous museums. Highlights of the historic Old Town include The Royal Palace, Zwinger, Semper Opera House, and the Frauenkirche. Please see the official Dresden tourism website for more information. The bus and tram lines operated by the Dresdner Verkehrsbetriebe (DVB) form a dense network that covers the city as well as surrounding regions. Ticket machines are available at all the main tram and bus stops, 145 in total. They are easy to use and provide a variety of tickets. Payment can be made with cash and at more than 50 of these machines with EC-card as well. There are also ticket machines on every tram. However, on trams ticket machines only accept coins (5 cents to 2 Euros). In modern trams the machines are in the front of each carriage between the first and the second door; in the older trams (“Tatra” trams) they are always by the rear door of the first carriage. On buses, the drivers sell tickets themselves. The regular ticket for €2.30 covers the complete city and is valid for at most 1 hour. Transportation and direction can be changed during that time. Please note that there will be a limited number of public transportation tickets available on Tuesday (25 March) and Wednesday (26 March) free-of-charge at the registration desk (first come/first served).